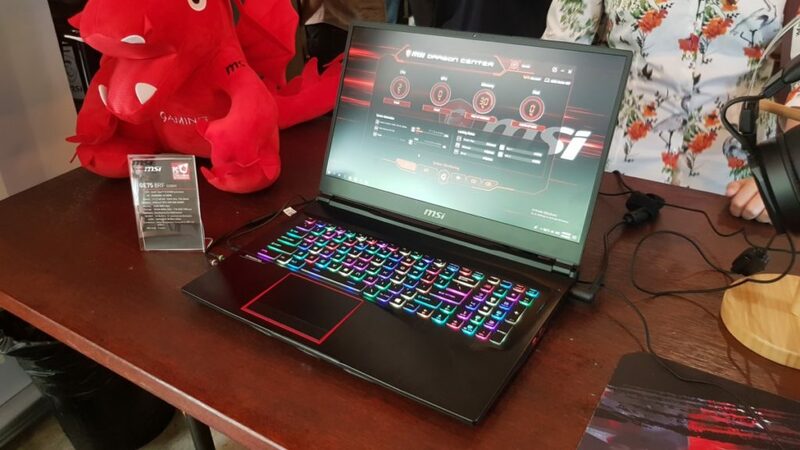 MSI Malaysia is best known for their extensive range of gaming notebooks but among those in the know, they’re also the purveyors of some of the best workstations in the business with the pixel crunching hardware to tackle the demanding tasks encountered by the likes of designers, artists, 3D animators and photographers. Fortunately, the very qualities that make them good for paperwork also make them awesome for gaming as well which is a win-win situation in our books. 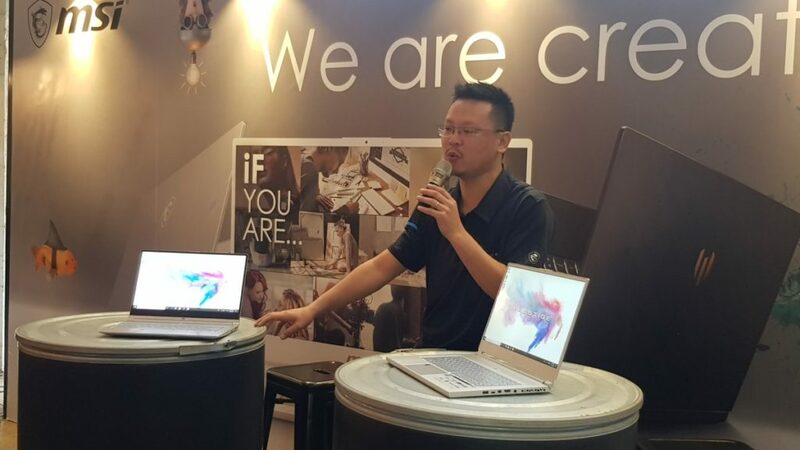 This time around, they’ve released their P65 Creator PC, PS42 Modern, WS65 workstation and the GE75 Raider for sale in Malaysia. 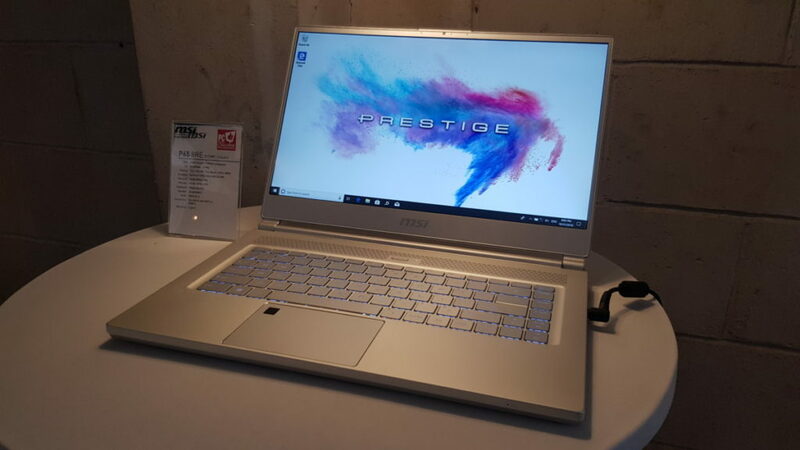 The P65 Creator PC notebooks come in either a polished silver aluminium finish dubbed the Silver Edition as well as a rather unorthodox looking limited edition pearl white aluminium finish with better specifications dubbed the White Edition. Aesthetics aside, both PS65 notebook variants are exceptionally svelte and light as well at 1.88kg which makes them exceptionally portable offerings for both work and play alike. 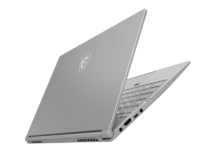 The standard P65 Creator PC in silver has up to an 8th Gen Intel Core i7 processor, a 15.6-inch 1080p sRGB IPS display, the ability to cram in up to 32GB DDR4 RAM, an NVIDIA GeForce GTX1060 GPU with Max-Q and 6GB GDDR5, an M.2 SSD combo slot that lets you mount either NVME PCIe Gen3 SSD/SATA slot along with an M.2 NVME PCIe Gen3 M.2 SSD slot. 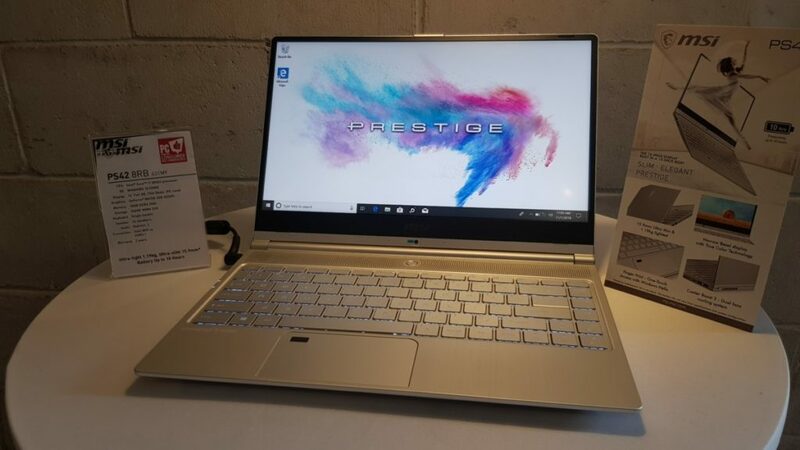 The upgunned White Limited edition variant has a similar storage configuration but upguns the processor to an 8th Gen Intel Core i7 processor, the display to a 15.6-inch Full HD, 144Hz/7ms IPS-level display and the GPU to an NVIDIA GeForce GTX1070 with Max-Q design card. Other mod-cons common to both variants of the P65 include Hi-Res audio support and Thunderbolt 3 ports that support external displays. 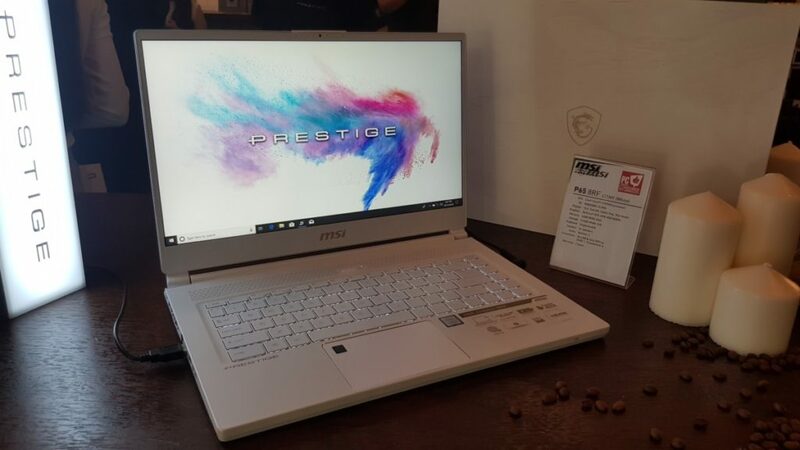 The MSI P65 silver variant retails at prices starting from RM3,999 while the P65 white edition variant retails for RM9,999. The PS42 Modern, befitting its name, packs in the latest tech in an exceptionally compact form factor. 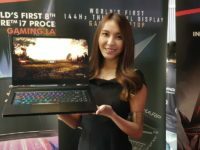 Weighing in a 1.19kg and 15.9mm thin while having a 13-inch form factor, the MSI PS42 still manages to cram in a 14-inch 1080P display on account of breathtakingly slim bezels. The PS42 comes with either an 8th Gen Intel Core i7 or i5 processor, either an NVIDIA GeForce GTX1050 with Max-Q and 4GB GDDR5 GPU or an NVIDIA GeForce MX150 with 2GB GDDR5 as graphic options, up to 16GB DDR4 RAM and a single M.2 SSD combo slot where you can plonk in an NVMe PCie Gen 3/ SATA for storage. Other mod-cons include a white backlit keyboard, a pair of 2W stereo speakers and a quartet of USB 3.1 Gen1 ports (2 x Type C and 2 x Type A). The MSI PS42 Modern retails at prices starting from RM3,799 and is available for online purchase at SenQ . 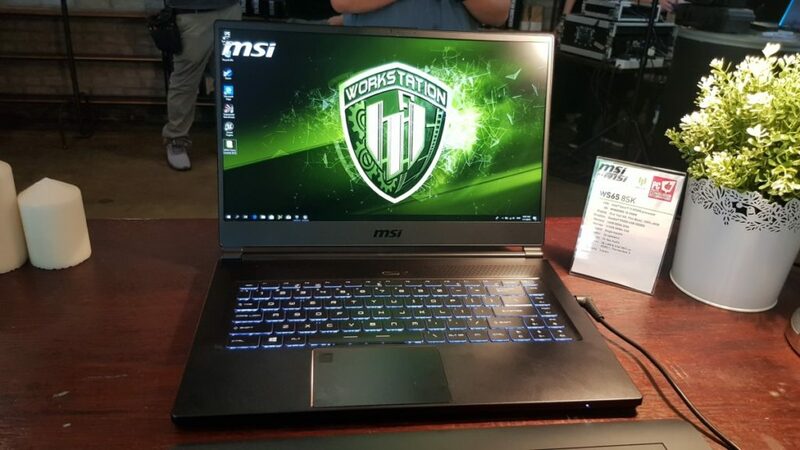 Cut along the same lines as the GS65 Stealth Thin gaming rig that debuted last year, the MSI 65 workstation has enough beefy hardware to tackle extensive rendering tasks on account of an Intel 8th Gen Core i9 processor, NVIDIA Quadron P4200 graphics, a PCIe SSD/ SATA combo paired up with a PCIe SSD and a 15.6-inch Full HD display with 72% coverage of the NTSC colour gamut. There are no prices yet but the WS65 is slated to appear later this month in November. 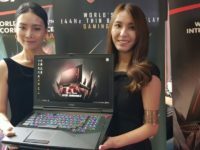 Built in MSI’s traditional styling with masculine lines, aggressive angles and their signature Dragon Army logo em blazoned up top in black with red trim, the GE75 Raider series comes in two variants though both are externally similar.